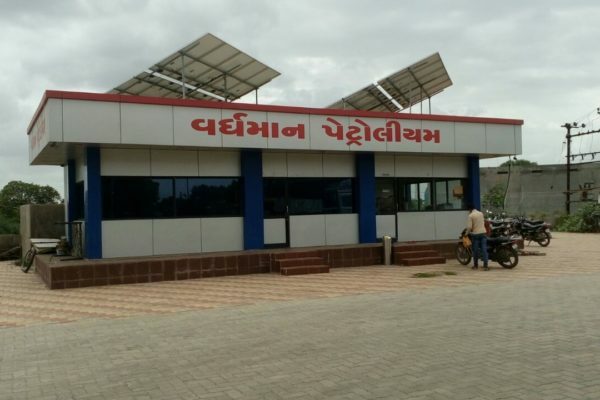 IOCL approved vendor for solar rooftop in North and Western Region. Don’t rely on the expensive Diesel Generators! A huge reduction in multiplying electricity bills. Get Solar Rooftop Subsidy from IOCL/HPCL upto 60%. Tax benefits; one can get around 80% depreciation benefit in the first year of its installation. Life of solar plant is 25 years. Green Technology; it is free from all kinds of carbon emission. 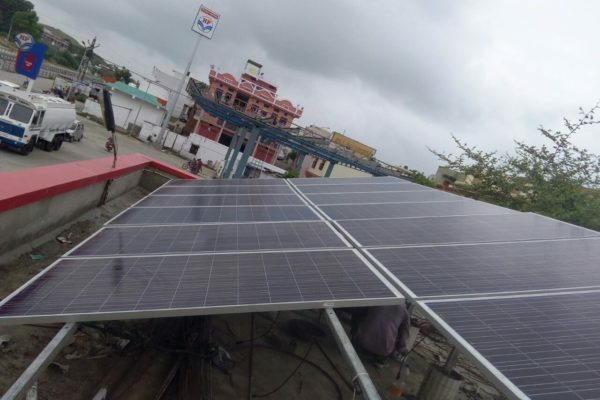 Adding to Grid tie system (battery-less system consisting of a grid-tie inverter and solar panels) with the net metering facility, excess solar electricity generated can be fed back into the grid through On Grid Solar Rooftop System. 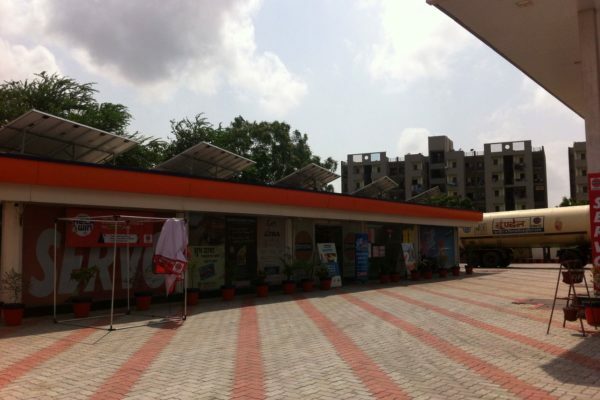 It is a good choice for petrol pumps situated in cities that do not face frequent power cuts. 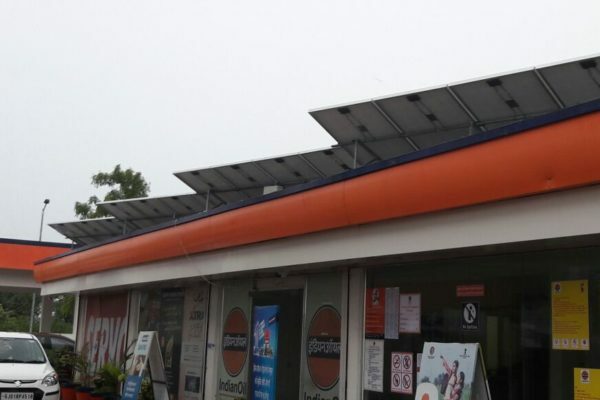 This is the most useful solar solution for petrol pumps. Especially for pumps that are situated away from the main cities and face frequent power cuts. The solar energy generated by the panels can be stored in batteries for later use thus solving the problem of excessive power cuts. 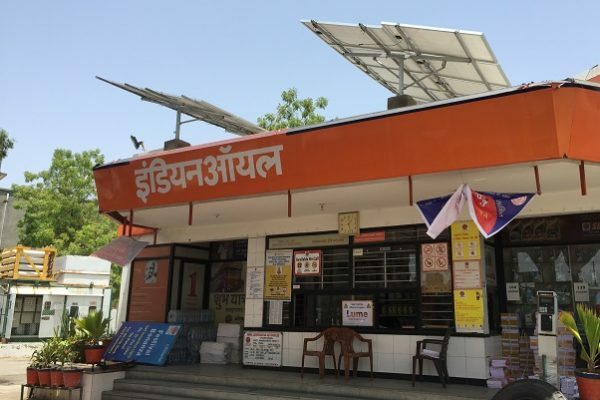 Off-grid solar package for petrol pumps consists of solar panels, battery bank, and Solar Inverter.